Germany – If the six musicians of PUR keep their fans waiting for a whole year, there has to be a very good reason. 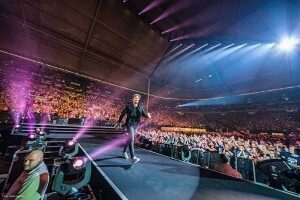 A gigantic, one-off concert provided the answer, as for the sixth time at the Veltins Arena, 65,000 fans flocked to the ‘PUR & Friends’ concert. This gave them the chance not only to celebrate their band, but also a number of high-profile guests. Among them were Andreas Bourani, Daniel Wirtz, comedian Bülent Ceylan and Max Giesinger. The success of this mega-event was assured at the beginning of the year, when all tickets were sold out in a very short time. 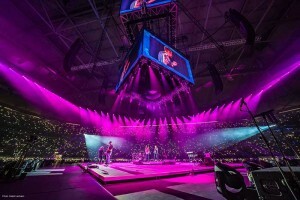 What the sold-out arena would be offered over the 150 minutes could only be described as ‘excitement’ as the six musicians entered the venue to a fanfare and took to their gigantic stage in the centre of the arena. Lighting designer Günter Jäckle, who has been one of the permanent associates of the Swabians for many years, had designed an extra classy lighting concept. 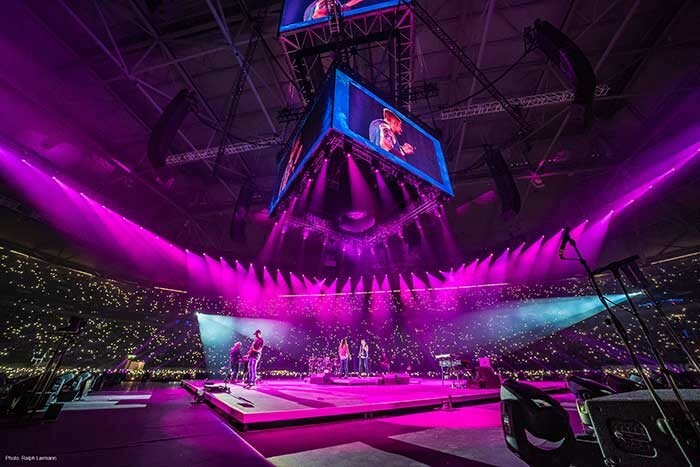 The walkways to the audience and the entire stage were lined with GLP GT-1 hybrid luminaires, which plunged the arena into a sea of colour. 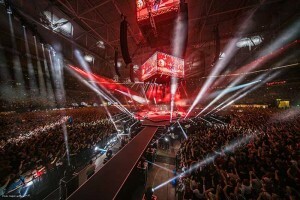 Despite its comparatively compact appearance, the GT-1 Hybrid is the first choice for use in large venues such as the Veltins Arena. Due to its Baseless design, it virtually takes up no space on the stage and can be easily integrated into a set design. At the same time, the 440 Watt discharge lamp, together with the optimised optics, also offers a remarkable output, a rich colour palette plus white, and last but not least a wide aperture range from wash to beam, with a zoom range of 3.5 degrees to 56.7 degrees. "This lamp is simply good,” is a bare statement from lighting designer Günter Jäckle that sums it up perfectly. 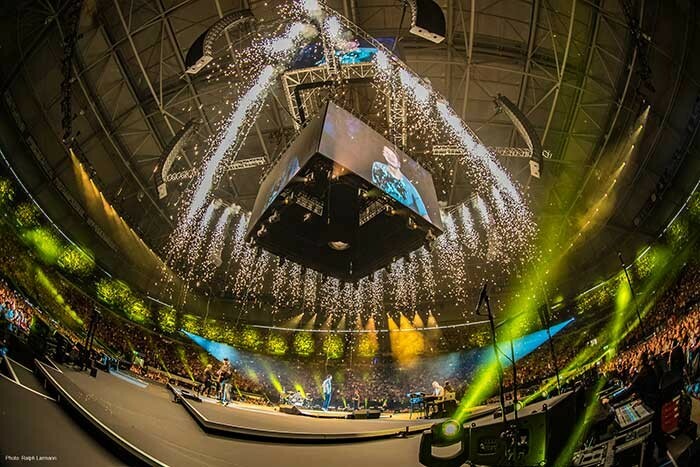 Jäckle already used a larger number of these spotlights from the Karlsbad manufacturer in the spring of this year during the tour of German rock legend Udo Lindenberg. 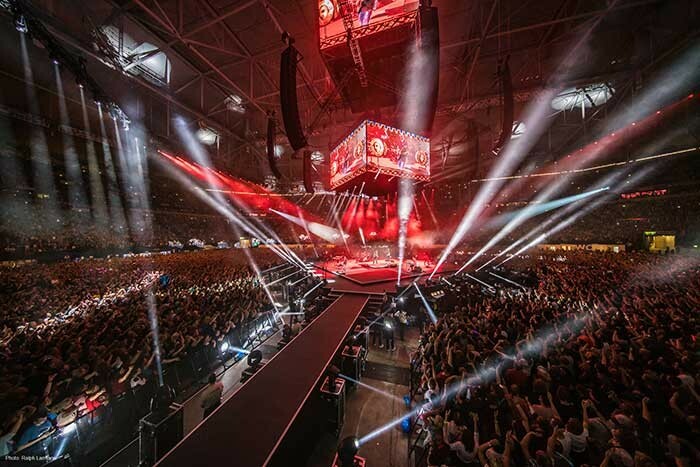 For the show in Schalke, he specified an additional 70 units. The technical production, undertaken by epicto GmbH from Edingen-Neckarhausen, played a decisive role, and also set new standards for PUR. PRG from Hamburg, a long-standing dry hire partner, provided part of the GT-1 inventory and other equipment. "Based on availability we can say that the GT-1 has really arrived on the market," says Tom Kaczmarek of prg. "These lamps are constantly out on jobs."